Hey, there! We're Kate Battistelli, September McCarthy, and Jamie Erickson--three generations of moms who have experienced nearly every season of motherhood. We don’t have all the answers, but you can be sure that we’ll always point you to the One who does. Today anything you want is right at your fingertips and though life might be more convenient, it isn’t easier. In fact, it’s busier than ever! Today we’re chatting about the overwhelm of motherhood. Between the three of us, we have 16 children and have experienced more than our share of overwhelm in our mothering journeys. The stress of a jam-packed schedule can actually alter a child’s DNA and it shrinks brain capacity. That’s terrifying! So, let’s talk about Mom Overwhelm and how we can combat it. A 2017 Gallup poll of over 2.5 million Americans showed the largest decline of overall feelings of well-being (or joy) in the last 10 years. We’re lonely, disconnected, and discontent with our lives. Now, I don’t think we can pin all of our troubles on comparison. I think it’s a more complicated equation than that. But, I do think that the longing of all of humanity to be more like this, and less like that--to have more of this and less of that--our tendency to make tally marks and tier levels out of virtually everything contributes greatly to our overall joylessness. So today, we’re going to talk about comparison and the “trap” that it really is. There is no greater gift to give your children than God's Word hidden in their hearts. Motherhood is a wide-open invitation to living a life led and loved by Jesus. You are the walking, talking example of God’s love they will remember. Today, we want to talk about the two biggest obstacles that intimidate us from teaching our kids about Jesus: Time and Knowledge. God’s Word is not intimidating, but it is our fear of not bringing it alive that can sometimes stall us. Thank you for joining in the conversation today as we chat about allowing other women into your space, tearing down the walls of fear in perfection, and asking for help from Biblical Mentors. We know that Motherhood can feel lonely and isolating. But, Titus-2 type relationships can create safe places to not only get answers and directions but also to feel loved and encouraged. 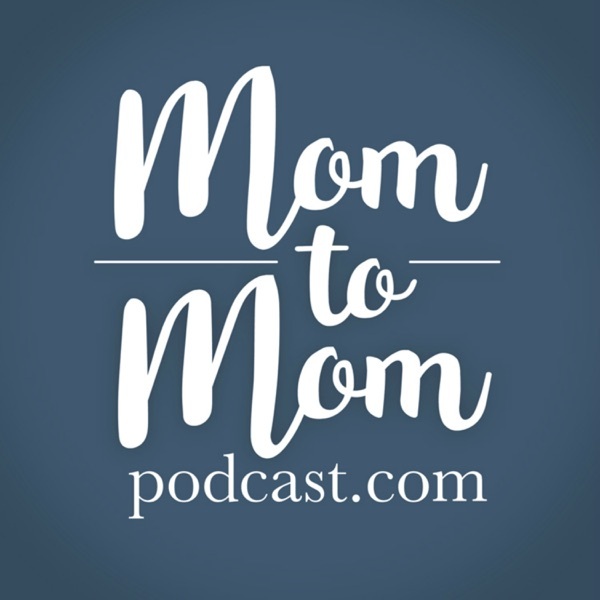 Welcome to the very first episode of the Mom to Mom Podcast. We know that as a mom, your tasks are great, but your time is limited. We’re honored that you would take a few minutes out of your day to listen in. We trust that by the end of our time together, you’ll be encouraged and equipped to mother well today, no matter where you are on the journey. We’ve got such a great season lined up for you. But, before we go any further, we want to introduce ourselves. We are 3 generations of moms--each about 10 years apart--whose paths to motherhood have all been unique. Though our methods and perspectives are quite different, our mission is the same: to draw others, especially our children, to the Gospel. In this episode, we share our greatest mothering struggles and strengths.